Mental Health Nurses are undervalued in Australia, according to a Southern Cross University professor, who says mental health funding and scope of practice for disciplines should be bound by capability, not professional discipline. “Mental Health Nurses work across all stepped care health settings but experience significant barriers working outside of state funded mental health services,” says Professor John Hurley. 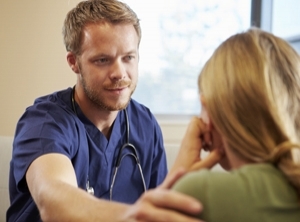 “The highly medicalised treatment of mental health problems within tertiary care settings reflects parts of the nursing scope of practice with medications and physical health care,” he says. According to Professor Hurley, if a mental health service with a consumer focus was being constructed from scratch, it would not look like the Australian system does today. “Funding and scope of practice for disciplines should be capability bound, not bound by professional discipline,” he says. Professor Hurley says arguably most damaging factor hindering the progression of Mental Health Nurses is the generalist undergraduate training, which does little to prepare qualifying Registered Nurse to work as a Mental Health Nurse. “Post Graduate education is therefore needed, but there is a paucity of Commonwealth Supported Funding for those Registered Nurse’s to undertake that Post Graduate education. “The possibilities are unlimited in one sense, as to how much post graduate education the mental health nurse is willing to undertake. While it other countries, mental health nurses are considered leaders in their fields, Australia doesn’t value the profession in the same way, said Professor Hurley. “Nurses in Australia are leaders who have a capability set that includes clinical governance, translational research, evidence based practice, complex clinical care provision and coordination. “However, they are arguably not seen as being leaders by government, other disciplines and the wider public. “This is in part due to the historical female makeup of the workforce within a country that, even in the 21st century, still has significant gender gaps in both pay and holders of executive level positions. In Australia, the NMBA does not recognise or endorse specialty areas of nursing practice, as the undergraduate training is a comprehensive rather than being specialist focussed. Which is why post graduate education is important in order to boost the presence and value of mental health nurses within the sector. A Credentialed Mental Health Nurse is recognised by the Australian College of Mental Health Nursing as being the only specialist qualification for the profession, having successfully undertaken post graduate education, at least 3 years’ experiences and a record of ongoing professional development. Despite this, they remain underpaid and undervalued, says Professor Hurley. “CMHNs have access to only one stream of medicare based funding (the Mental Health Nurse Incentive Programme), which contrasts poorly with other disciplines, some with less specialist training. “The remuneration is poor and has not been increased for some 9 years. “The CMHN, through the funding rules, are seen as only the enactors of care plans devised by the medical profession, instead of being autonomous practitioners working in partnership with the multidisciplinary team. State run mental health services should invest in the nursing workforce generally, and the ental health nursing workforce more specifically, says Professor Hurley, in order to capitilise on their unique skill set. “No one discipline ‘owns’ compassion, trust, empathy and consumer centeredness, however nurses are recognised for being just these things. “Less recognised is the nurses’ capabilities in formulating and delivering complex clinical interventions and judgments. Unfortunately though, mandatory training regimes are not responding to consumers’ needs, but rather the needs of the health service. “Mental health nursing is a specialist field of nursing practice, however there is scant mental health content within the undergraduate preparation of nurses, with the curriculum having an historical bias toward predominantly surgical and medical nursing within hospital contexts. “Underprepared registered nurses are entitled to work within mental health settings despite having little preparation to do so.